This post comes by way of a good friend of mine, Chris Stallworth. Chris and I had the opportunity to work together for a couple of years as Network Engineers. During our time working together we tackled many virtualization and network infrastructure projects. Now Chris is a Senior Cloud Architect & Network Engineer for Aecom Communications and a independent consultant…enough with the intros…on to the post. There may come a time where you will need to restore a VMware Connection Server from a backup configuration. If you have several connection servers in your VDI environment and you lose functionality (i.e. cannot access the Horizon Admin Console, cannot connect using the Horizon Client) due to a configuration error, update/patching incompatibility, or other general outage, you may be able to restore the server using the LDF backup created by the VMware ADLS VDMDS service. Assuming you do not have an available snapshot of the server (VMware snapshot or Storage snapshot). You might also use this procedure when you set up a second datacenter with the existing View configuration. Or you might use it if your View deployment contains only a single View Connection Server instance, and a problem occurs with that server. Configuration information about the connection servers is replicated among the servers in the farm using the ADLS service. The servers are backed up daily (by default) to the C:\Programdata\VMware\VDM\Backups directory in an encrypted LDF file. You do not have to follow this procedure if you have multiple View Connection Server instances in a replicated group, and a single instance goes down. You can simply reinstall View Connection Server as a replicated instance. During the installation, you provide connection information to another View Connection Server instance, and View restores the View LDAP configuration from the other instance.First thing you’ll want to do is access the CLI interface for the server experiencing the problem. 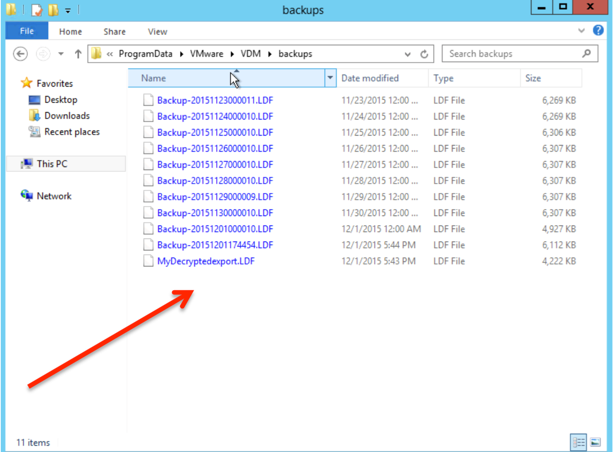 Change the directory of the prompt to C:\Programdata\VMware\VDM\Backups. 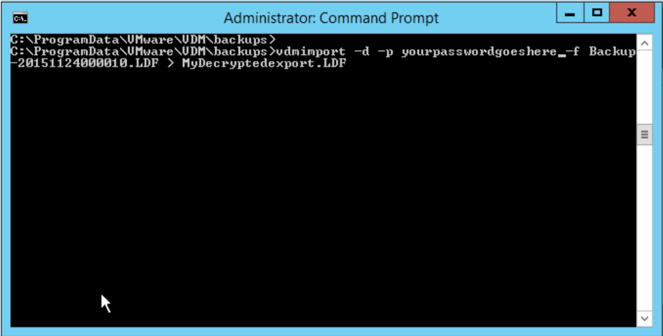 Next you will use the vdmimport command to access the backup file, decrypt it and place the decrypted file in the backup directory. After running the command, check the backup directory and you will see the decrypted .LDF file. Uninstall the View Connection Server from the computer by using the Windows Add/Remove Programs utility. Do not uninstall the View LDAP configuration, called the AD LDS Instance VMwareVDMDS instance. 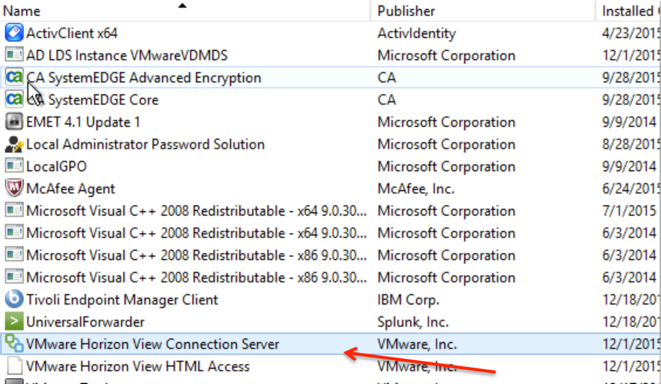 You can use the Add/Remove Programs utility to verify that the AD LDS Instance VMwareVDMDS instance was not removed from the Windows Server computer. Lastly, reinstall the View Connection Server. At the installer prompt, accept the existing View LDAP directory. Once the installation is complete, you should be able to browse to the URL of the connection server and access the admin console and connect to the VDI desktops using the Horizon Client. 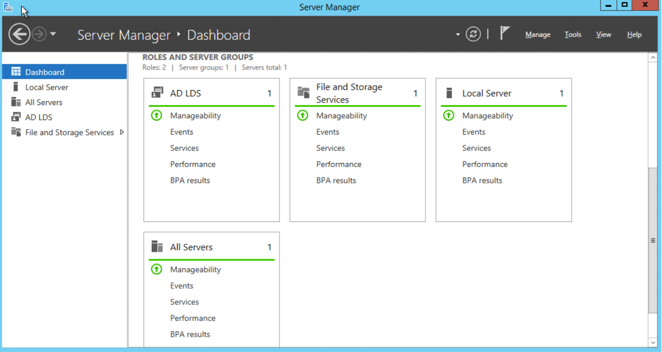 You can check the server manager to ensure all services are up. That’s it! Systems are back online and you’re a hero!